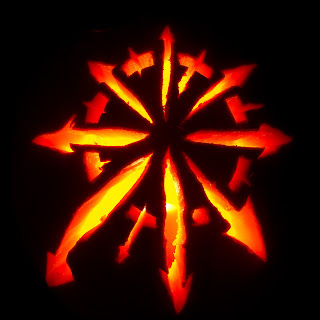 Angels of Death: Chaos Pumpkin! This weekend my wife and I had our niece over and we all got into the Halloween spirit and carved some pumpkins! 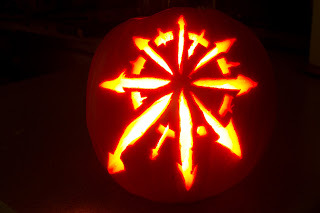 And nothing says Halloween like the Star of Chaos. 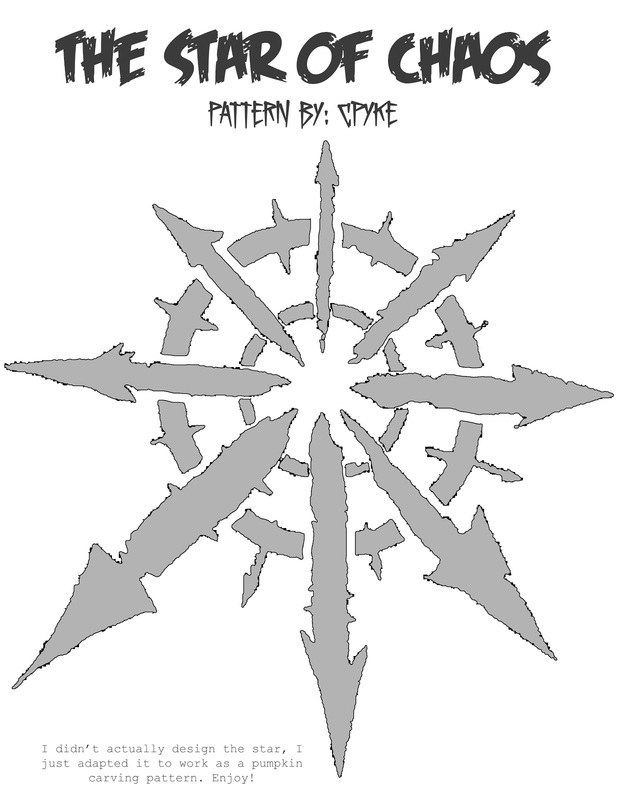 And just for fun, I've included a pattern to make your very own corrupted pumpkin, just below! 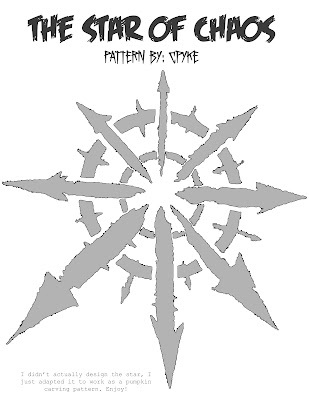 I tweaked the chaos star picture a bit to work as a pumpkin pattern. As you can see, I didn't cut the inner circle out. I was thinking it may not be strong enough to support itself if I did (but the main reason was that my niece was already done with hers and wanted someone to play Legos with her). If you would like to make your own, just right click the picture (or command-click for you mac users) and select "open image image in new tab". Once this comes up, make sure you are zoomed in and right click again and save to your computer. Then just print it out, tape it to your pumpkin, and start carving away! 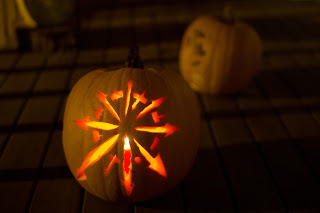 (If you haven't carved pumpkins before, or would just like a refresher, here's some instructions by Zombie Pumpkins. Have fun, and as always, don't cut yourself! Thanks! It just sounded like a fun thing to do... and it was.